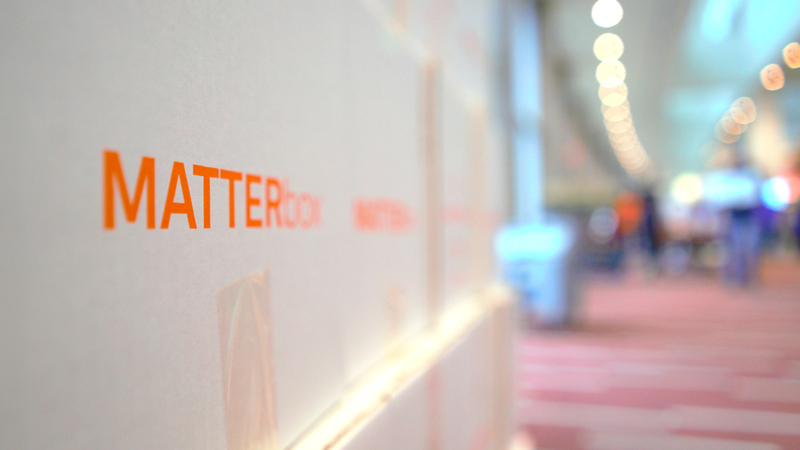 32 Companies that Matter. 53 Tons of Food. 200K Healthy MATTERbox Meals. 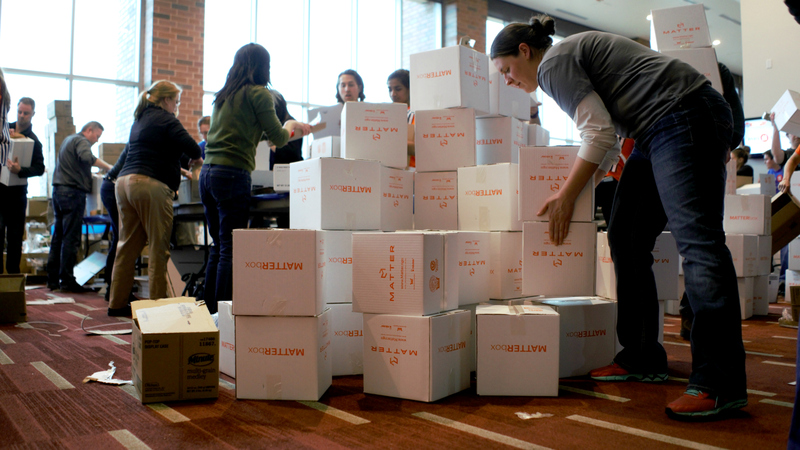 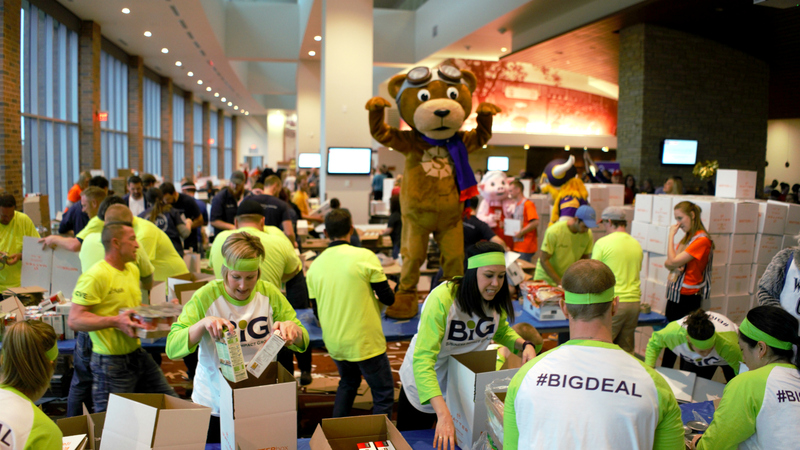 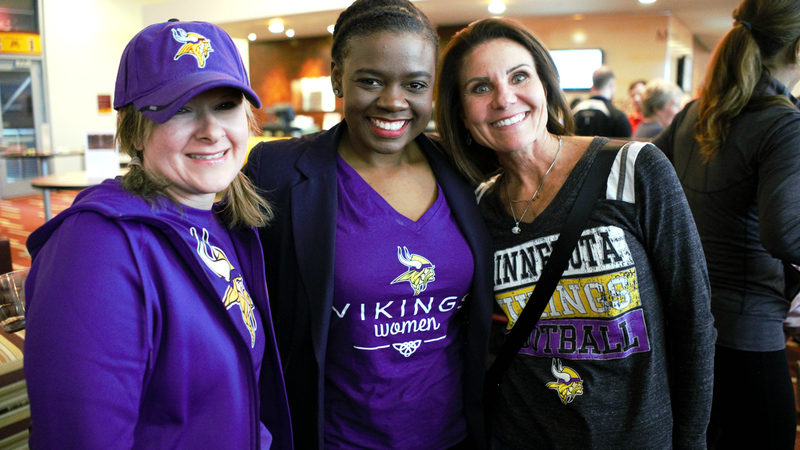 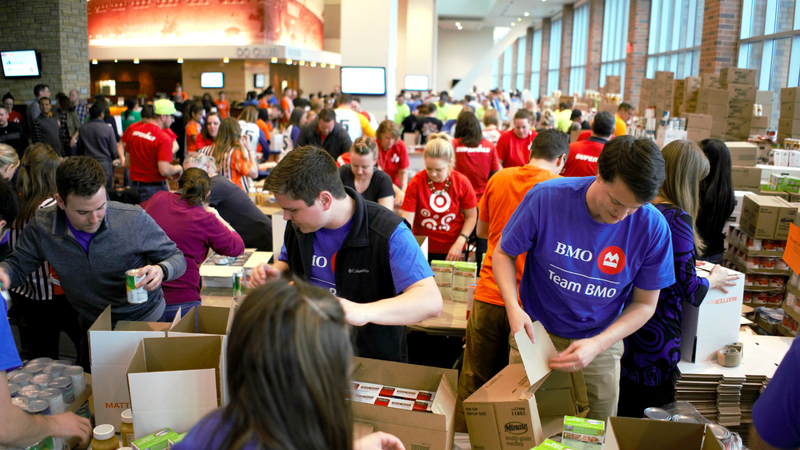 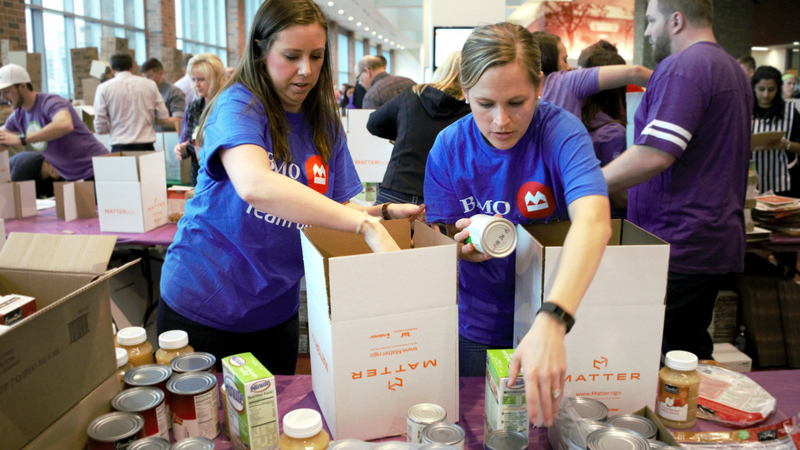 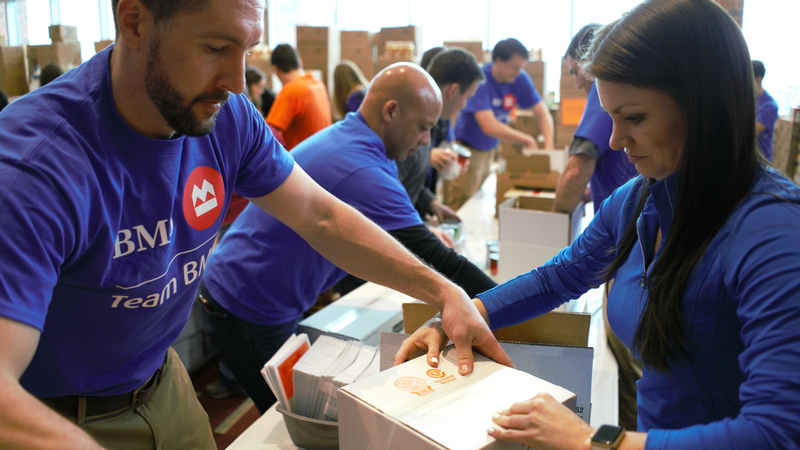 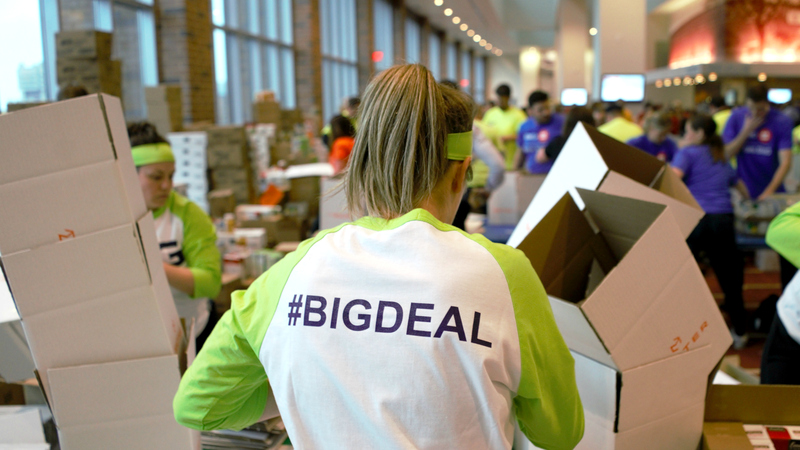 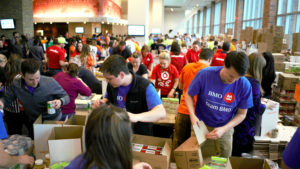 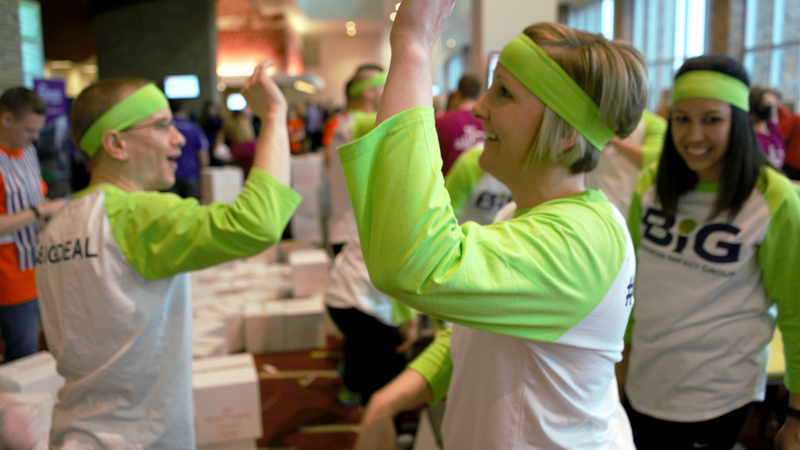 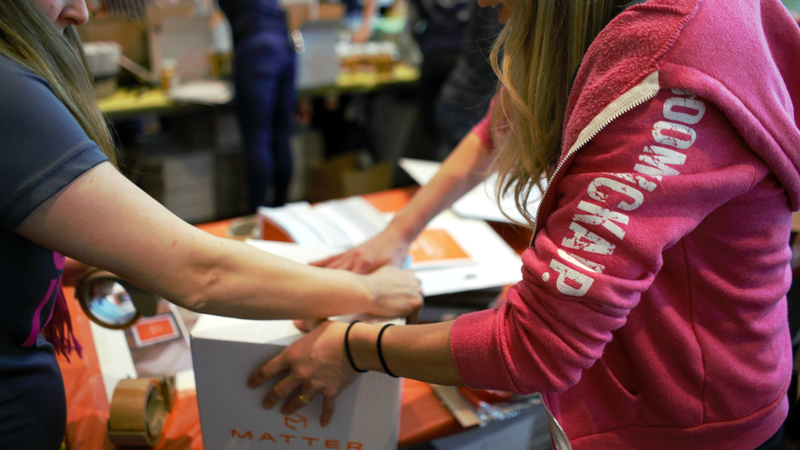 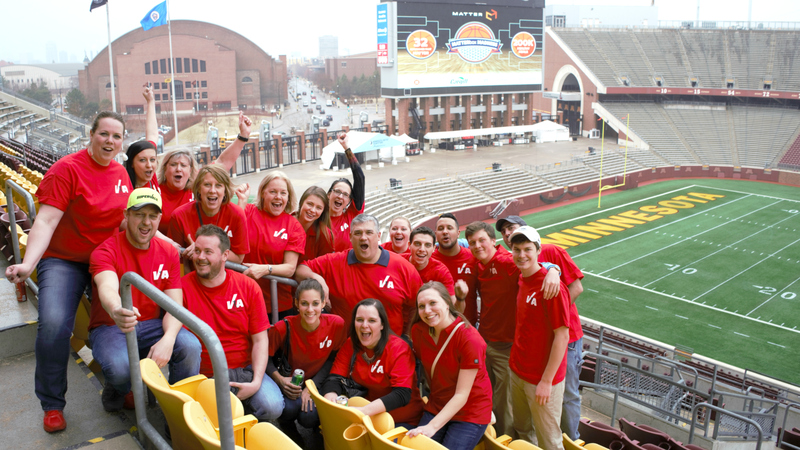 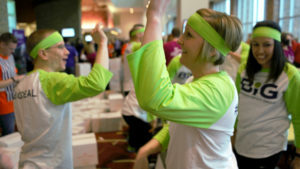 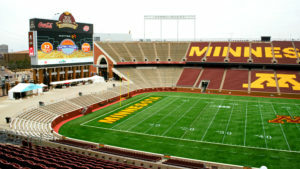 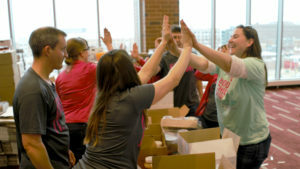 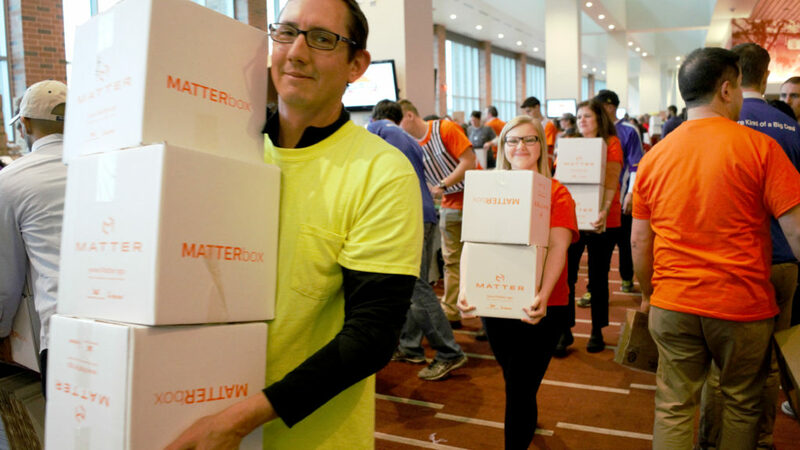 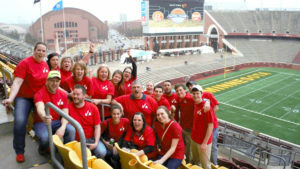 The spirit of competition pulsated throughout TCF Bank Stadium as 32 Companies that MATTER joined forces to activate a healthier community and shatter MATTERbox records at the 4th annual MATTERbox Madness last Thursday. 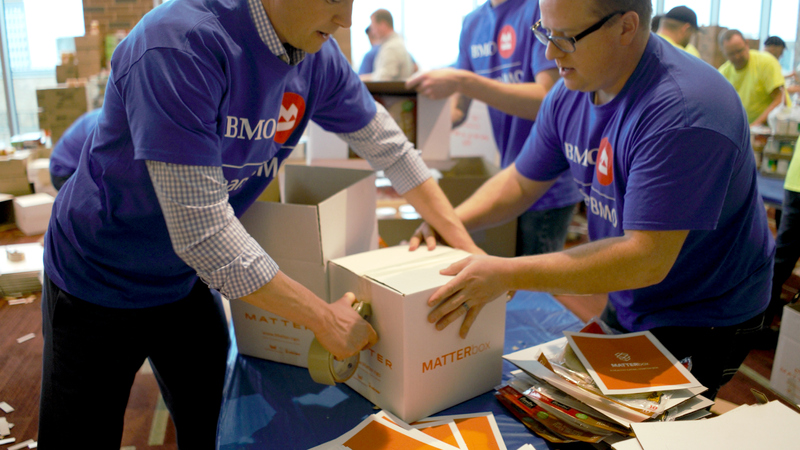 Teams suited-up in company colors and sported their fiercest game faces to compete head-to-head for the revered title of the 2017 MATTERbox Madness Champion, resulting in a record-breaking impact of 200K healthy MATTERbox meals! 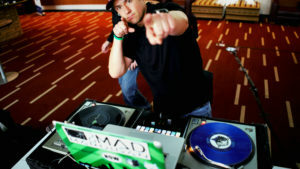 In the ultimate test of strategy and teamwork, MATTERbox Madness officially kicked off the pool-play competition as DJ Mad Mardigan, the official DJ of the Minnesota Timberwolves, enlivened the excited crowd. 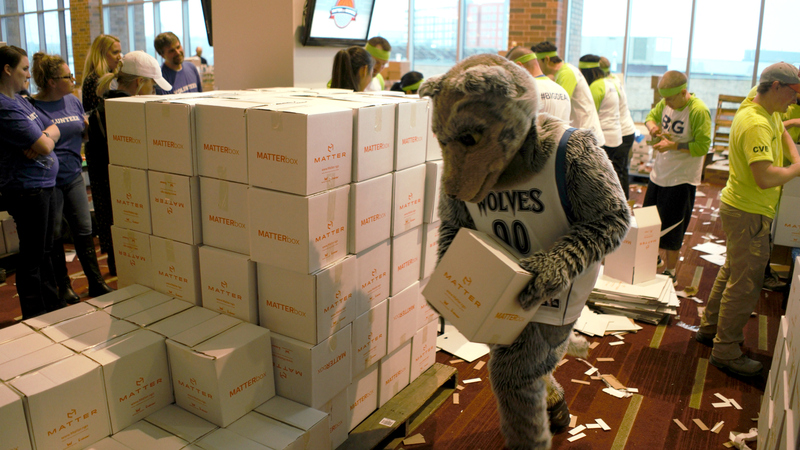 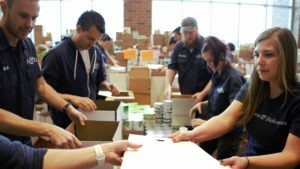 Whole wheat tortillas, canned chicken, and corn quickly began to fly down each team’s packing line and completed MATTERboxes began to stack high. 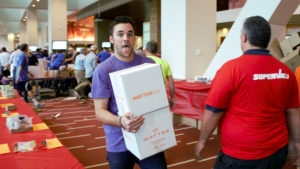 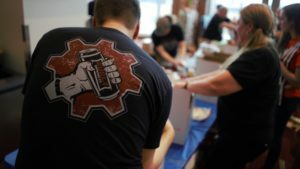 Amidst the pool-play rounds, Surly and CRAVE Catering kept competitors fueled with a hosted bar and appetizers inspired by MATTERbox ingredients. 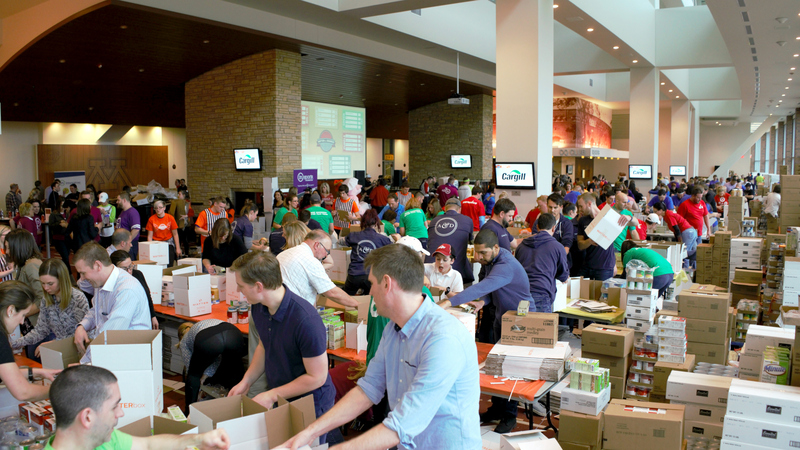 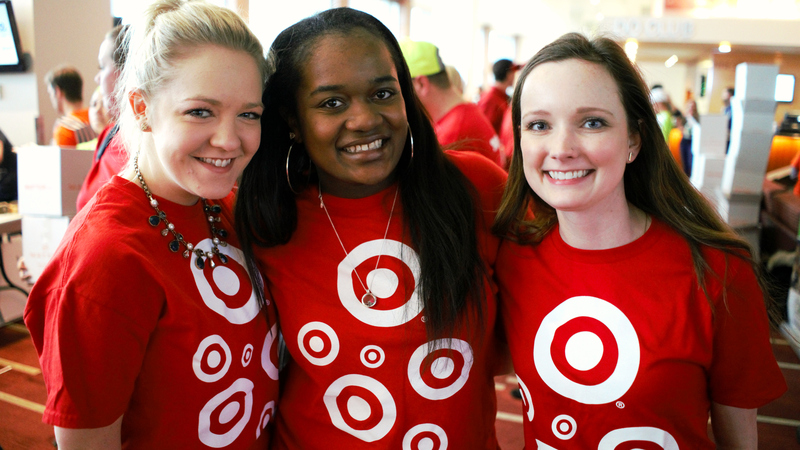 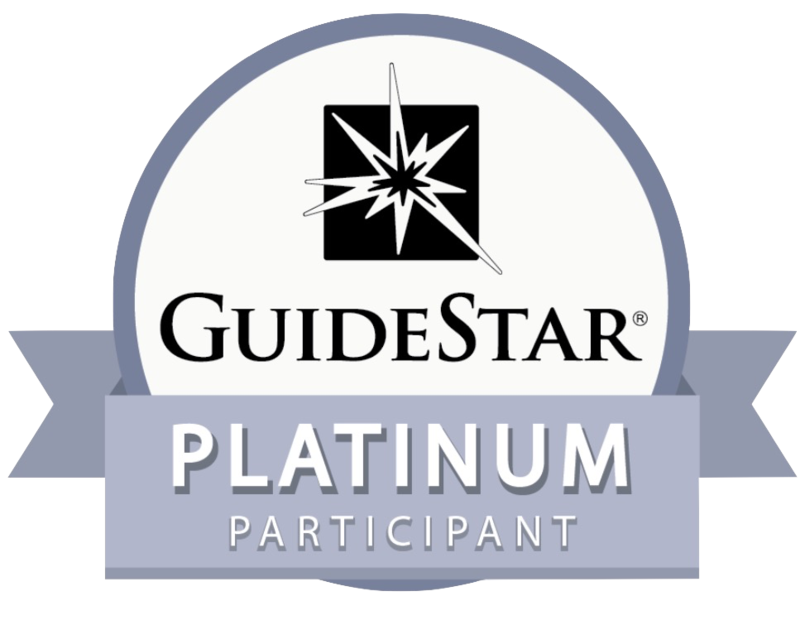 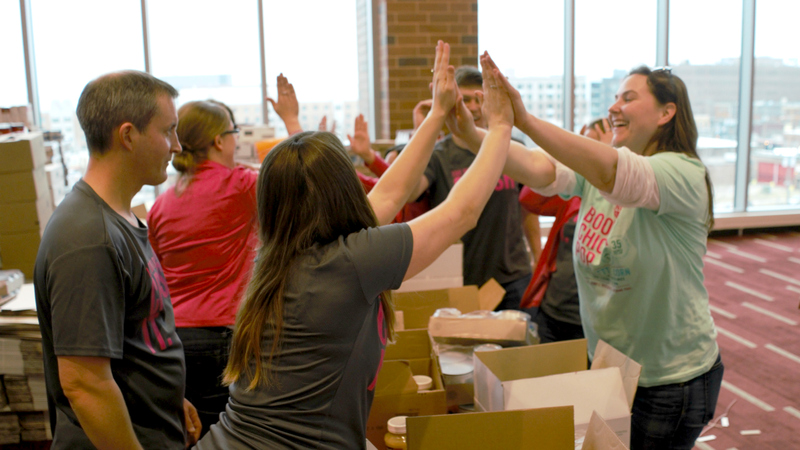 The growing energy in room proved that the teams were not only incredibly proud to be a part of a Company That Matters but also invested in making an impact in their community. 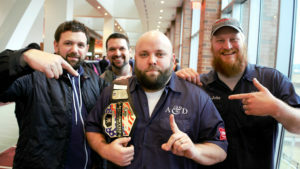 The anticipation reached new heights as the final pool play scores were tallied, revealing the Elite 8 companies advancing onto the semi-final round. BIG (Business Impact Group) snagged the ‘Wild Card’ and 8th spot with the award given to the most animated and excited team; the MATTERbox Madness Spirit Award. 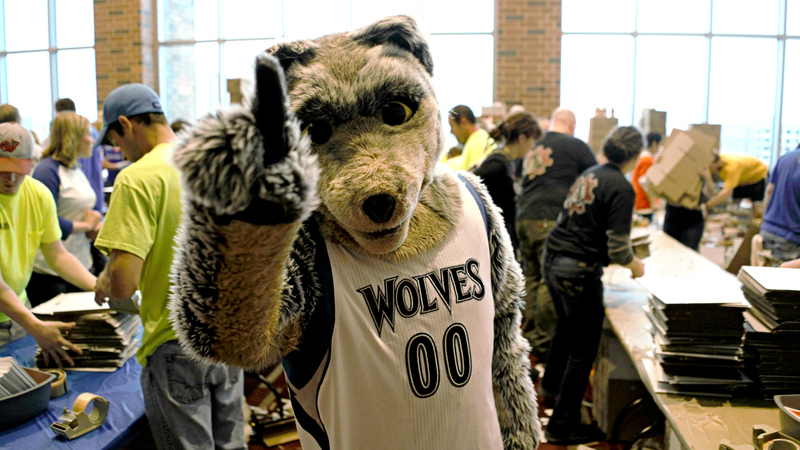 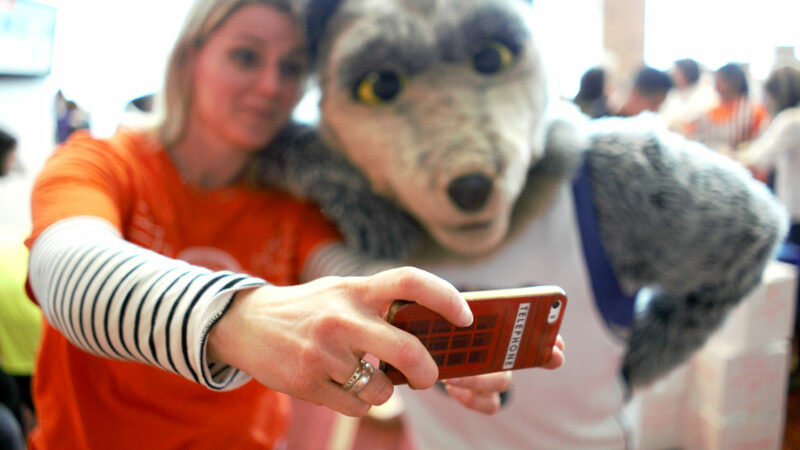 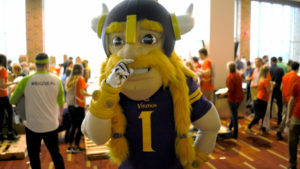 As the Elite 8 faced off in the semi-finals, Timberwolves’ Mascot Crunch, Viktor the Viking, Sun Country Airlines’ Sunny and Famous Dave’s Wilbur stopped by to snap selfies, spark spontaneous dance-off’s, and jump in on the competition. 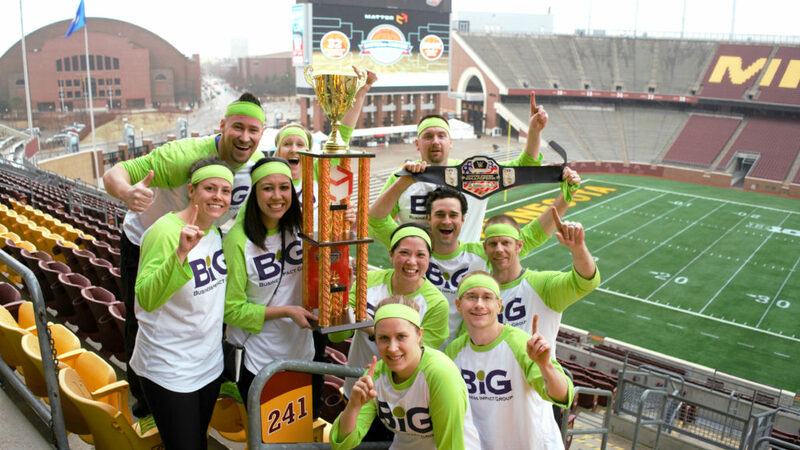 With all eyes were glued to the scoreboard, Tradition Capital Bank, BIG (Business Impact Group), City View and the reigning MATTERbox Madness Champion, Ackmann & Dickenson, were unveiled as the Final Four companies to advance onto the final championship round. 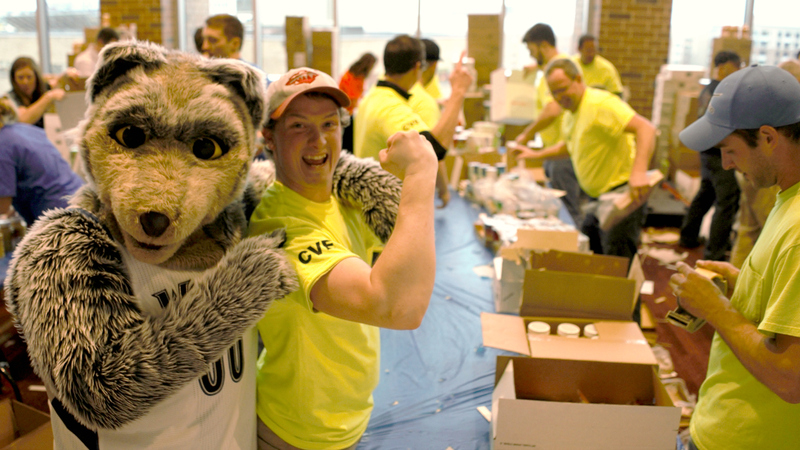 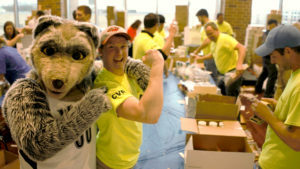 Teaming up with a mascot in the championship round, each of the Final Four teams battled to the finish in the final MATTERbox packing race to the finish! 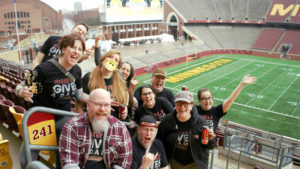 With the final buzzer, anticipation and excitement hung thick in the air as teams anxiously awaited the final score. 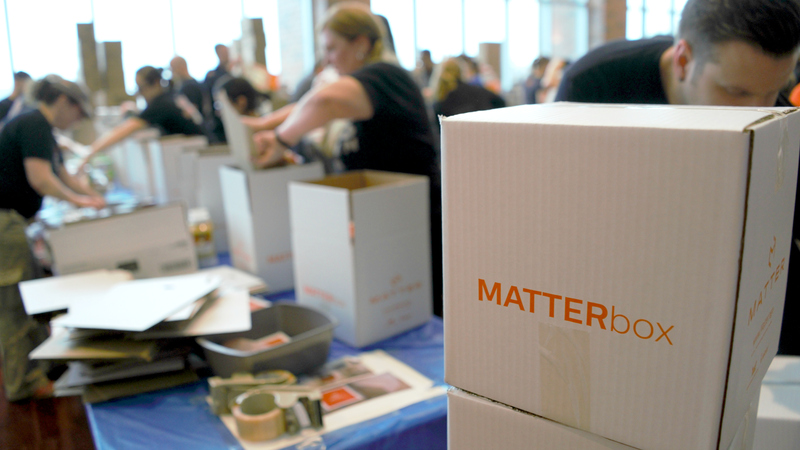 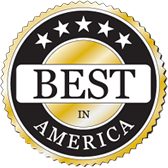 Which team would be named of 2017 MATTERbox Madness Champion and take home the majestic gold trophy (not to mention a year’s worth of bragging rights)? 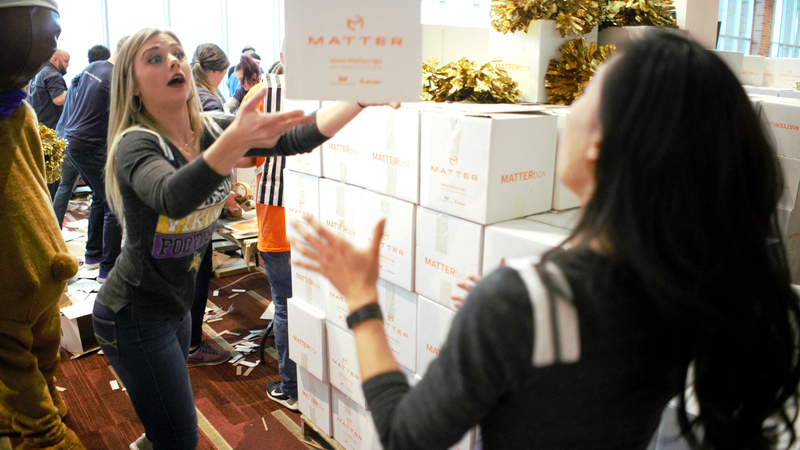 The crowd erupted into cheer as BIG (Business Impact Group) was announced the 2017 MATTERbox Madness Champion! 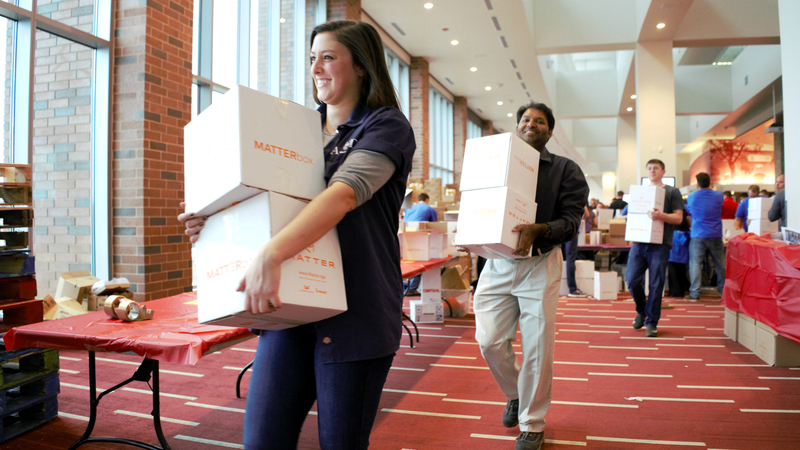 While only one company could be named the 2017 MATTERbox Madness Champion, the collective impact made by these 32 Companies That Matter will be felt by thousands of youth and families in the Twin Cities.